“I am telling you, the world’s first trillionaires are going to come from somebody who masters AI and all its derivatives, and applies it in ways we never thought of.” – Mark Cuban. Artificial Intelligence (AI) as future superintelligence is going to transform the way we do business. 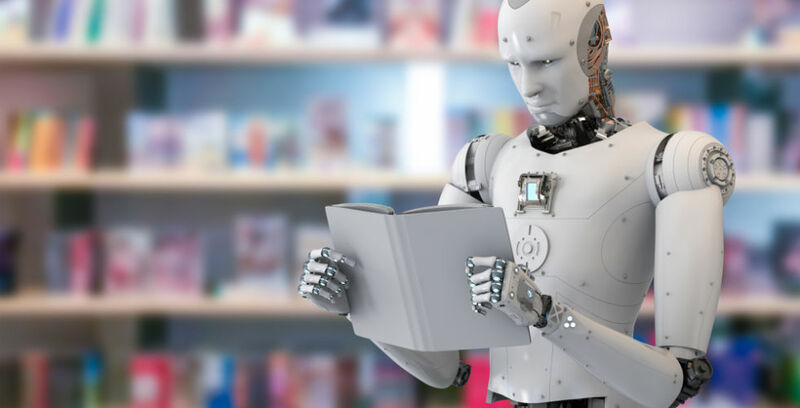 AI is intelligence demonstrated by machines or “intelligent agents” who can mimic human intelligence – human “cognitive” functions such as “learning” and “problem-solving”. Intelligent devices are now being applied in mathematics, computer science, linguistics, psychology and more. AI incorporates enormous opportunities and benefits, making our life more comfortable, more exciting, creative and smarter. It is a new revolutionary technology, that might even help eliminate poverty, war, and disease. After 25 years of AI Research, Trinity College Dublin’s Adapt Centre researchers have recently declared that Ireland can be recognised as an Island of artificial intelligence, data analytics, machine learning, human-machine interaction and optimisation. Ireland is home to a vibrant open AI ecosystem for collaboration and community. Many corporations in Ireland have established centres on data analytics, cloud computing, big data and future internet. Google, for example, launched a support hub for AI startups in Dublin last year. Google’s AI Launchpad Studio is designed to provide technical and product support to entrepreneurs who work with artificial intelligence and machine learning. Moreover, Ireland became the first country in the world to develop an industry-driven nationwide Post Graduate MSc in Artificial Intelligence in 2017, when the University of Limerick introduced a master’s level course in artificial intelligence. Forbes ranks Ireland as the fourth best country in the world for business 2017, and PwC survey shows that Ireland is the only English speaking country in the Eurozone in the EU post-Brexit that provides an ideal hub for organisations seeking a European hub. Ireland is definitely an attractive area for investment in emerging technologies. Artificial Intelligence has a huge potential to establish a significant economic benefit on Ireland’s economy in 2030. PwC analysis shows that AI will boost Ireland’s GDP in 2030 by 11.6% (€48 billion), which presents a substantial commercial and economic opportunity for the country. Recognising the potentially huge economic benefits of Artificial Intelligence on Ireland’s economy, Irish businesses are applying these changes to their strategies that will lead to the significant potential growth that AI offers. Some indigenous Irish companies are already globally recognised for their expertise in AI. Here are nine to watch. AYLIEN provide powerful and flexible AI-driven content analysis solutions, making it easy to understand vast amounts of human-generated text using Deep Learning and advanced Natural Language Processing. The company was founded in 2012 by Parsa Ghaffari. In November 2017 AYLIEN announced new investment totalling €2 million ($2.35 million), that was led by the Atlantic Bridge University Fund, along with SOSV and Enterprise Ireland. “AI and machine learning can provide practical solutions to businesses.” – Alex Kelly, co-founder of Brightflag. Brightflag has developed a software platform that helps large corporations to manage their legal costs. Brightflag uses machine learning to read and understand the narrative detail and to categorise the time spent on each activity. In November 2017 Brightflag raised $1.5 million (€1.26m) in a funding round led by Frontline Ventures and Tribal VC. Opening.io have recognised the massive potential of machine learning for the recruitment industry. “This is such a document- and data-heavy industry, with recruiters, spending three months out of 12 just looking at CVs.” – Andreea Wade, co-founder of Opening.io. 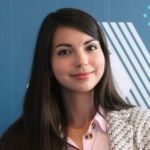 Andreea describes Opening.io as a “cognitive engine” that uses AI and machine-learning to match candidates to roles. In May 2017 Opening.io pitched to a panel of investors at an NDRC investor day and was awarded a €30,000 investment. Logograb is the leading logo and marks recognition API to monetise and monitor visual content. LogoGrab allows consumers to take a photo on their smartphone of a company’s logo and, if the company is signed up to their service, the image will provide access to all manner of information about the brand, from its nearest locations to special offers. In 2014 LogoGrab raised a total of $2.8M in funding over 6 rounds. What distinguishes Voysis from other AI digital assistants like Siri or Amazon’s Alexa? It lacks many of the glitches in intonation and sounds eerily human. The technology’s secret is a method called wavenet, discovered by researchers at Google’s DeepMind. The method uses a particular type of neural-network architecture to create sound and is said to represent a significant leap forward in artificial-voice technology. In February Voysis raised $8 million to launch DIY voice assistants for businesses. Artomatix has created the World’s first 3D art engine. Its technology has the potential to change every industry exposed to 3D content: video games, movies, special effects, industrial design. In March 2017 Artomatix raised €2.1m in a seed round. Pointy is a revolutionary new system that automatically displays retailers’ products online, providing businesses with an online presence. Pointy has developed a small hardware box that connects to a retailer’s barcode scanner to log every item in a store and make the goods easy to find online. The app directs shoppers to where particular things are available locally. The system uses algorithms and machine learning to estimate stock levels. The company aims at helping traditional physical retailers compete with e-commerce companies. Pointy was founded by Mark Cummins and Charles Bibby in 2014. In July 2018 raised $12m in a Series B round led by Polaris Partners and involving Vulcan Capital. Nuritas is a data mining health startup. Nuritas was founded by Nora Khaldi in 2014. Using Artificial Intelligence algorithms, including deep learning, the Nuritas platform helps to cut the time and cost of discovering new ingredients for health promotion, disease prevention and medicines. In December 2017 Nuritas raised $20 million (€16.8 million) in Series A funding in a round led by Chicago-based Cultivian Sandbox Ventures. Orrecco uses machine learning, deep learning and bioanalytics to help elite athletes analyse and optimise their health and performance data to enhance their performance, to accelerate their recovery and prolong their careers. Orecco has the largest AI team in professional sport globally with 17 team members PhD qualified. Orrecco won the Best Use of Data Science in an SME Award at the 2017 DatSci Awards. And it is definitely cool to see what new sorts of tech startups continue to emerge in Ireland in the field of Artificial Intelligence. With the massive amounts of data we collect and process, AI is going to have an enormous impact on the future of business. What can I claim back before tax?